Yesterday, while watching the Oscars, I realized that just about the only nominee I’d seen is director Wes Anderson’s The Grand Budapest Hotel. I’d like to pretend that had I realized it in time, I would have shown up to the annual Oscar watching party with one of the movie’s iconic pastel pastries, beloved by Ralph Fiennes’ character, M. Gustave—a Courtesan au Chocolat. If you’d like to try it, Wes Anderson filmed a short film featuring the recipe. Did you watch the Oscars? Favorite dress or moment? Flat design of Courtesan au Chocolat by Lorena G; Blu-Ray cover image; Mendls; Pastry with box by Sprinkle Bakes; Video still. P.S. A way to replicate the Mendl’s box. 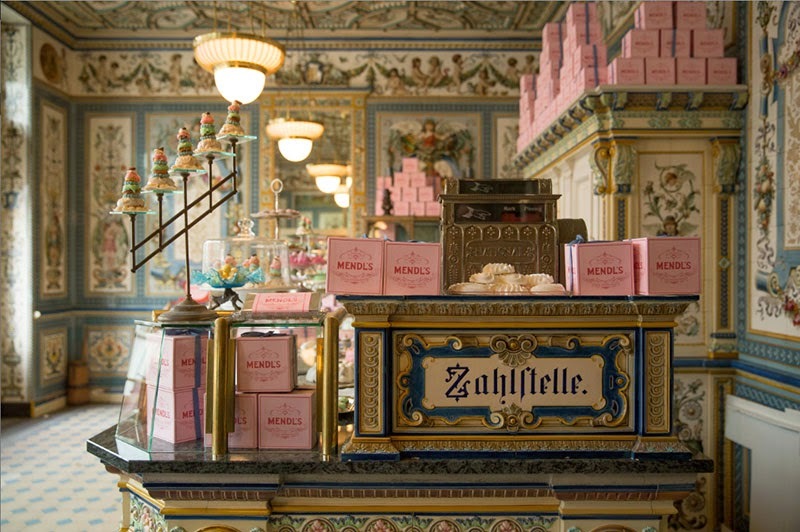 And the inside of Mendl’s reminds me a bit of this experience in Paris.